Have you ever found yourself in a situation where your client makes an offhanded comment like, “It sure would be nice to have a Snapchat Geofilter for this event!” about 24 hours before the event starts? Of course, you want to make all of your client’s dreams come true, even if that means bending over backwards with almost no time to spare. So you frantically begin searching the internet for ways to quickly create a Snapchat Geofilter. Perhaps that’s how you arrived at this post to begin with. 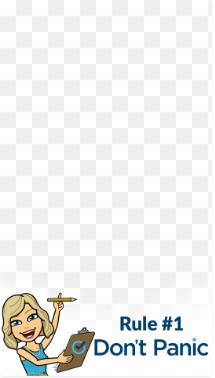 The easiest way to create a Snapchat Geofilter is by using a template. Snapchat has created templates for Photoshop and Illustrator that you can download. If just the thought of complicated design software makes you queasy, use this tutorial from Social Media Examiner to create one in Canva. Read the submission guidelines for filters. There are some pretty strict rules about what Snapchat will accept as a filter, and when you’re on a tight deadline, you can’t afford your design to be denied. Make sure it’s right the first time by carefully studying those guidelines. Decide if your Snapchat Geofilter is going to be used for personal or business purposes. If you’re creating a Business Geofilter with some sort of branding, be aware that no logos, URLs, or hashtags are allowed. That means you’ll have to get creative! Make sure you’re designing on a transparent background. It seems like common sense, but it’s also a small detail that’s easy to overlook in a rush. Test your design by putting it on top of a few images with varied backgrounds. You want to make sure it will be visually appealing on top of a Snap that is pointed toward the sun as well as a Snap that’s taken at midnight. Snapchat only accepts .PNG files that are under 300KB in size, so you may need to use an image compressing tool like TinyPNG. Upload your design and choose where you want it to show up. The beauty of Snapchat Geofilters is that you get to decide who sees the filter and when it will show up. 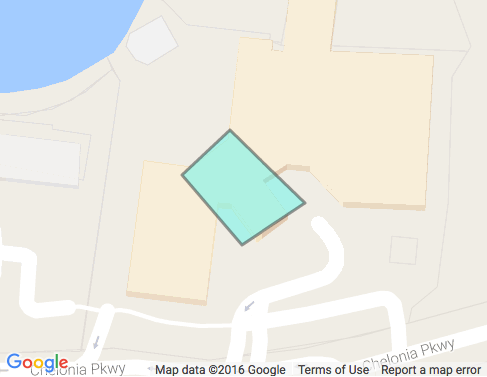 If you’re operating your event out of a convention center, you’ll be able to trace the bounds of the whole property or just the ballroom. 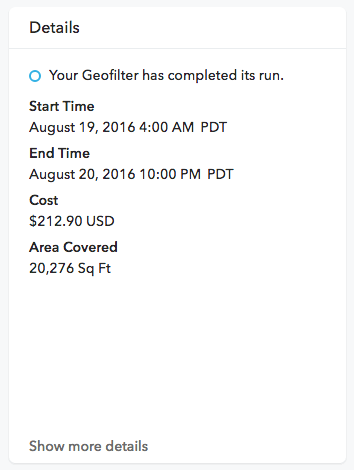 The price of the Geofilter will depend on how many square feet you select and how long you’d like the filter to be available. You’ll need login details for the account to which you’d like to attribute the Geofilter, so if you’re creating a filter for a client, you wouldn’t want to submit the filter under your personal account unless your client was comfortable with you doing so. Be prepared by getting their Snapchat login credentials, or sending them the files so that they can upload and pay. This should come within 24 hours, and Snapchat will let you know whether it’s approved via the email that’s connected to the account you used to upload the filter. If they like your design, there’s nothing left to do but celebrate and Snap! If you’re really in a panic and don’t have time to even accomplish the steps in this tutorial, send us an email. We can help!